A family who made their fortune by revamping classified ads is donating $200 million to McGill University. John and Marcy McCall MacBain created the fund to pay for tuition, fees, and living expenses for 75 students per year. The goal is to provide a graduate education to 50 Canadian students and 25 International students who excel in leadership and good citizenship, even if they are not the best academic students. "The goal of this is to really bring students to do their second degree at McGill in Montreal, in Canada and I think it should be a platform to then launch into whatever ambitions they see for themselves," said Marcy McCall MacBain. "I think this is one of those grants that should be seen as one of those grants that invests in Canadians across the country, but also internationally, eventually." The couple plans to create selection committees that will reach out to undergraduates who have not considered doing a Masters degree, a law degree, or a medical doctorate. Applications from Canadians will open in the fall of 2020, with the inaugural students beginning at McGill in the fall of 2021.
International students will be included as of 2024. "The idea first of all is to find potential and we're going to have selection committees across the country and across the world to find the very best students," said John McCall MacBain. "We want to bring them to Canada, some of them coming from all around the world to Canada, and the Canadians will come to Quebec and to Montreal." Their hope is that Montreal and Canada will be able to retain those students long after they finish their studies. "They'll make their own judgment in the future where they want to live, but our main idea is to bring them here to get a great education, but also to support that education," said McCall MacBain. Born in Ontario, he lived in Montreal for many years before moving to Switzerland, and was going to encourage others to live in Montreal. "Wherever the opportunity is, we want those students to go, but we'd love them of course to understand the great city of Montreal and the great province of Quebec," he added. John McCall MacBain and his then-wife Louise bought Auto Hebdo in 1987 and transformed that into an international publishing and advertising powerhouse known in English as Auto Trader. When that couple divorced Mr. McCall MacBain bought out his ex-wife, then sold the company. He and his wife, Dr. Marcy McCall MacBain, who teaches medicine at the University of Oxford, had a net worth of at least $1 billion in 2006. Since then they have set up a series of fellowships and scholarships for undergraduate students in Canada, in Europe, and in Africa. 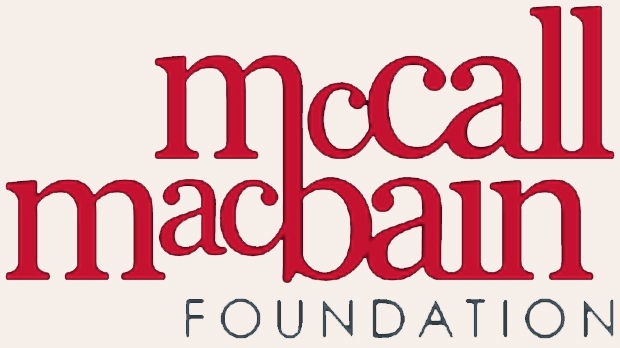 The McCall MacBain Foundation has donated $200 million to McGill University, and set up hundreds of millions of dollars worth of scholarships in other areas.